Friends of the Greater Victoria Public Library: Don’t take a pass on art, borrow a pass! Don’t take a pass on art, borrow a pass! 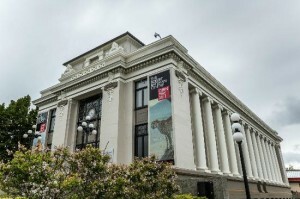 Did you know that you can use your library card to borrow a pass to the Robert Bateman Centre, the Art Gallery of Greater Victoria, and the Royal BC Museum? Don’t miss a chance to see these wonderful collections. Passes are good for the whole family but they’re a great deal and in high demand, so you might have to place a hold… Do that today and when your turn comes up you’ll have a “surprise” weekend activity all ready to go! And remember, we’re on Facebook.